When shareholders of a company fall out, the resulting dispute can prove difficult and expensive to untangle without the right advice. Disputes are never good for business, particularly when there has been a breakdown in the relationship between the individuals who own and run the business. In these uncertain times, shareholder disputes are not uncommon. Many businesses, particularly SMEs, are formed by friends, acquaintances or even family members; built on mutual trust and the resulting optimism that the arrangement will be permanent. Unfortunately, as in other areas of life, relationships sometimes break down and when a shareholder dispute occurs it can feel extremely personal. It is possible, with early intervention, for parties to agree to resolve their differences and for the affected business to continue without major disruption. It is important that parties (whether legally represented or not) explore settlement options available to them before resorting to recourse via the courts. The key to any successful and long-term resolution is that it is one that all parties can agree on. Without this, any attempted resolution will be destined to fail. Whilst efforts should be made to negotiate settlement before proceedings are issued, this is not always possible if the other party refuses to cooperate. Where agreement cannot be reached, it is vital to engage with an experienced solicitor to enable you to best review your options. FS Legal’s team has specialist experience in advising shareholders on their options and remedies. 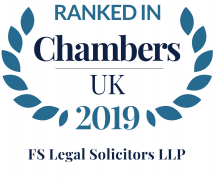 We provide expert lawyers recommended and recognised as ‘Leading Individuals’ by Chambers & Partners who note the firm’s “pragmatic, practical and efficient approach“ and “determined litigators with a very good sector knowledge.” Legal 500 notes “FS Legal is a firm that punches well above its weight” adding that the team has “a deservedly good reputation for providing a top-quality, commercial service“. FS Legal is particularly well known for dealing with high-value, ‘big ticket’ complex litigation for national corporates and high net worth individuals. To discuss your circumstances in more detail please speak to Legal Director Christine Newton in our Manchester Office.